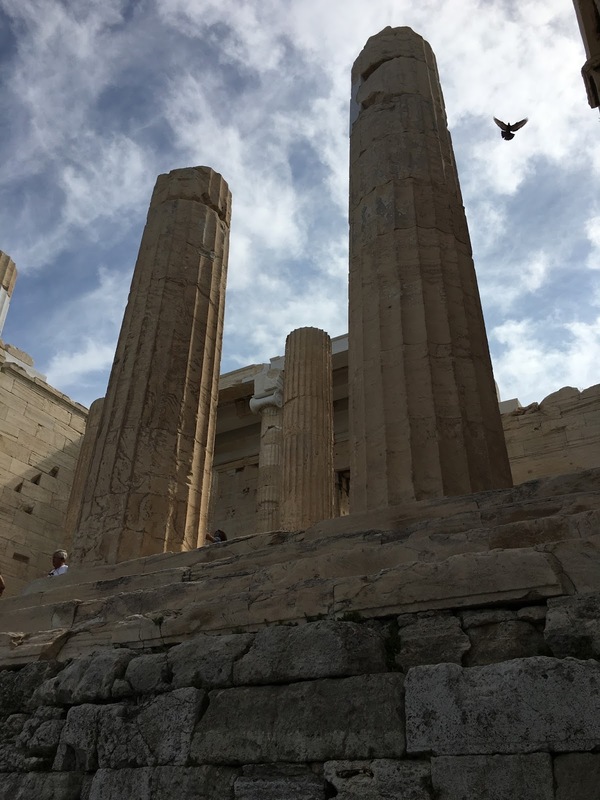 Our next port of call on the cruise was Athens, Greece. 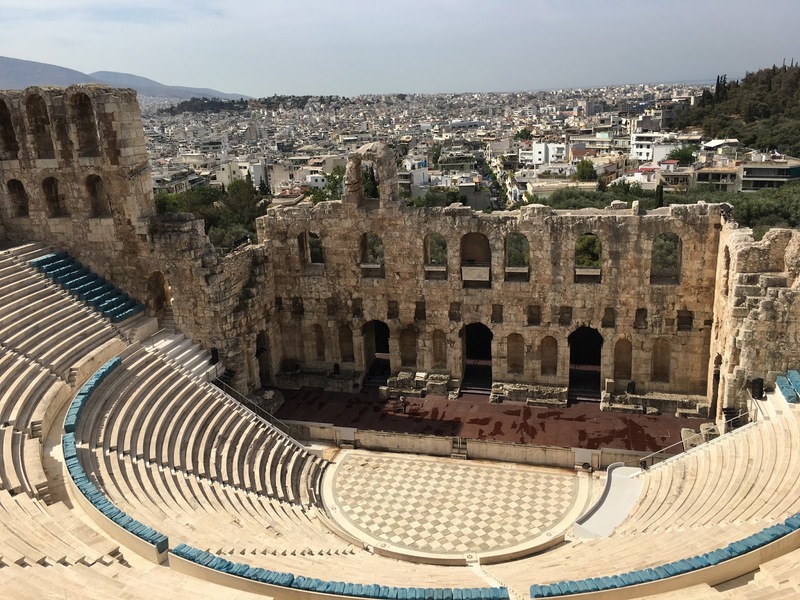 I have to be honest: The modern city of Athens did not impress. It's dirty, covered in graffiti, and it appears that they've deferred many of their civic maintenance projects for far too long. Given their financial situation, that's understandable, but the only reason I'd go back is to spend some more time at the Acropolis and the various archaeological museums. The Acropolis was amazing. The age of the buildings was awe inspiring, and I'm glad it's a UNESCO World Heritage Site, since that means it's restoration and maintenance costs can be defrayed by the UN. The numbers of people there were a bit daunting, though. If we return, we'll need to make sure we go first thing in the morning to try and avoid the crowds. 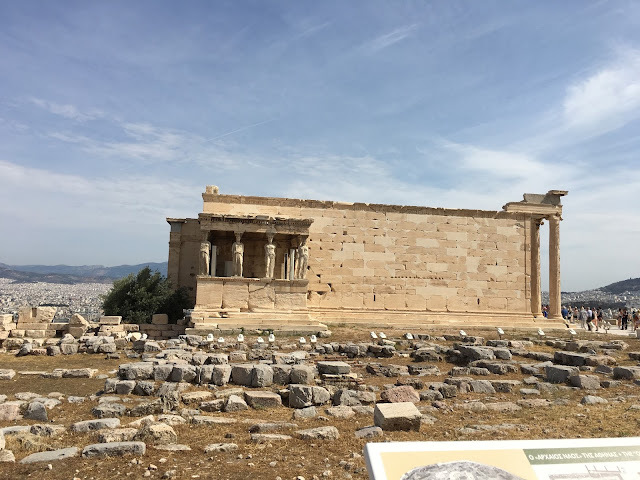 I especially wanted to see the Parthenon. I have an affinity to the Goddess Athena (as much as I can to any deity, I mean), and I'm glad I got to see it in person. While we were there the Smart Man bought me a wedding ring to commemorate the trip. * I chose a diamond and ruby channel set piece in the meander (meandros) pattern, commonly found on ancient Greek art. *He buys me a ring every time we take a major trip. I like to have a variety of pieces to wear, and having one from each of our trips makes me happy.